SPORAH TV: FIND OUT WHO IS REPRESENTING YOUR COUNTRY ON MISS AFRICA GREAT BRITAIN 2018. 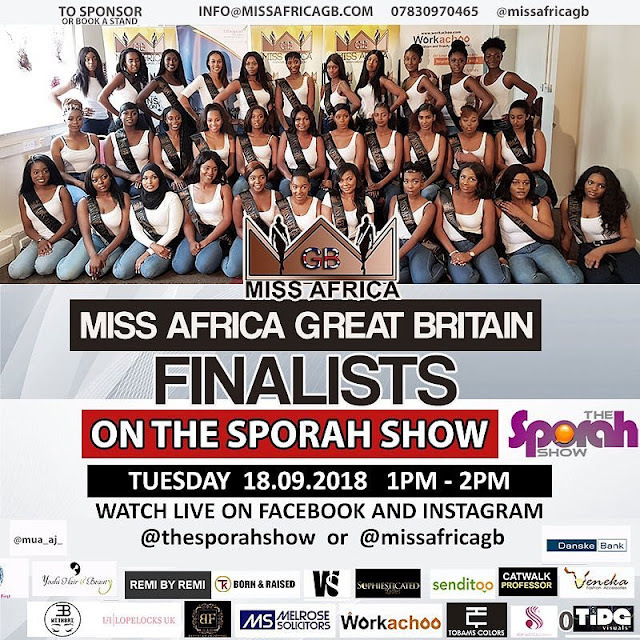 FIND OUT WHO IS REPRESENTING YOUR COUNTRY ON MISS AFRICA GREAT BRITAIN 2018.
Who is carrying your flag?? WATCH US LIVE ON FACEBOOK, INSTAGRAM and TWITTER. SUJUI NANI ANATUWAKILISHA 🇹🇿 KWENYE HAYA MASHINDANO... Kesho tutakua LIVE kwenye INSTAGRAM na FACEBOOK na TWITTER.. Saa TISA MCHANA TZ time. #NaombaUsikose.